As Vice President Investments for Core5 Industrial Partners, John oversees all local market efforts for the Dallas and Chicago portfolios. John established the Core5 Dallas office in 2017. 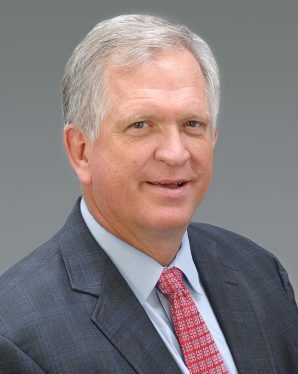 His chief responsibilities include marketing, leasing and property management oversight, including the procurement and administration of third party broker and property management relationships. Additionally, John contributes in the search for Dallas and Chicago growth opportunities as well as the disposition of facilities in these markets. John is a 30+ year commercial real estate pro with an extensive network of relationships from his previous longstanding posts in the industrial arena. Most recently, John worked for NAI Robert Lynn where he was responsible for overseeing and expanding the Dallas industrial listings for institutional owners. Preceding Robert Lynn, John worked for IDI Gazeley (formerly IDI) for 19 years, where he was an integral part of the team dedicated to the development, leasing and sales of a Class A portfolio totaling over 22 million square feet. He began his career in Dallas for The Bradford Companies/Vantage Development Company. In the professional community, John is consistently recognized as a “Heavy Hitter” by the Dallas Business Journal in its annual commercial real estate publication and is widely known for his high integrity and strong character traits. He is an active member of the North Texas Commercial Association of Realtors (NTCAR) and holds a Bachelor of Science in Finance from Buena Vista University in Storm Lake, Iowa. Of great importance to John is giving back to the community; over the years he has held numerous volunteer positions with his church and currently serves on the Board of Trustees for Jesuit College Preparatory School in Dallas. When John is not busy with real estate endeavors and his many volunteer activities, he enjoys golf, fly-fishing in Colorado and spending valued time with family and friends.